Gain a range of patient care and research experience in multiple inpatient and outpatient facilities to become an excellent, well-rounded psychiatrist in our tight-knit training program. Provide psychiatric care in a variety of disciplines at more than five inpatient and oupatient settings. Enjoy a reasonable call schedule, and participate in clubs, volunteer and social activities with your fellow residents. Work closely with our faculty, who serve as mentors as well as supervisors, in practice and in research. Our residents say they truly feel like part of a team and are highly supportive of one another, yet they also have the autonomy to refine their individual strengths and skills as psychiatrists. Residents and full-time faculty hold outpatient appointments in much of their first year and in all months of their second, third and fourth years at Psychiatry and Behavioral Sciences' offices in EVMS Hofheimer Hall. Residents maintain their own long-term psychotherapy cases throughout training. Trainees treat outpatients with psychodynamically-oriented psychotherapy, cognitive behavioral psychotherapy and supportive psychotherapy. 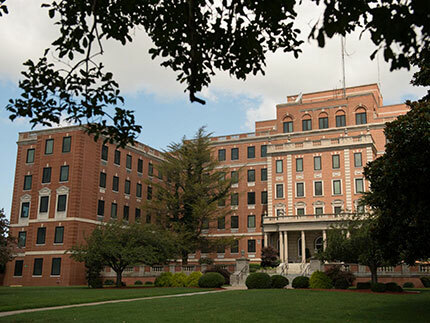 The Hampton Veterans Affairs Medical Center is a 670-bed facility with units in acute care, extended care and rehabilitative residential care. First-year residents have two separate two-month internal medicine rotations. Working with internal medicine residents, they care for patients in the ICU and on the wards. Residents work with psychiatric patients in the emergency department, Mental Hygiene Clinic patients and geriatric psychiatry, inpatient psychiatry and substance-abuse patients on second- through fourth-year rotations. 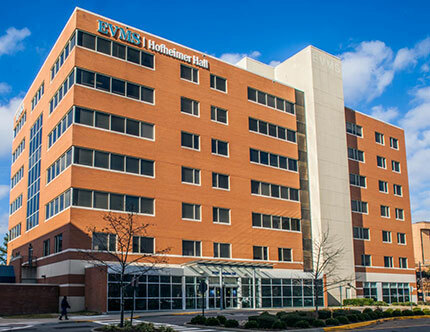 Sentara Norfolk General Hospital, the primary teaching hospital for EVMS, is home to the area's only Level I trauma center and burn trauma unit. Residents take on primary patient care responsibility as part of a multidisciplinary team when they rotate on inpatient psychiatry, adult and geriatric psychiatry, consultation psychiatry and neurology at this facility. 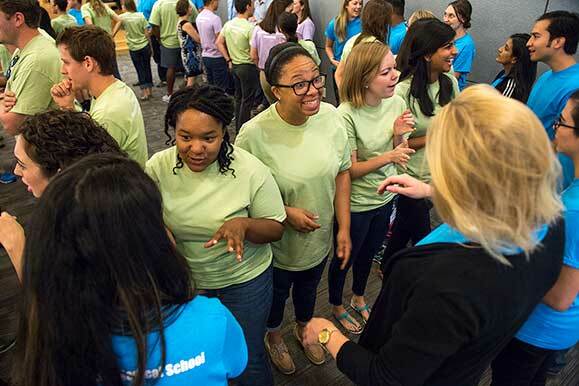 First- and second-year residents work in the 34-bed inpatient mental health units. Residents also cover the emergency department and supervise medical students on the ward. Trainees gain experience working with patients with psychotic and mood disorders, substance abuse disorders and personality disorders. The Virginia Beach Community Services Board strives to be responsive to the needs of individuals with mental disabilities and their families and promote independence, recovery, behavioral health and public education surrounding the needs of individuals with mental disabilities. One PGY-3 resident is selected to rotate there the entire year. During the PGY-4 year, all residents rotate at this facility for three months, acting as senior residents on the PACT team and serving in the outpatient mental health clinic and the Pathways crisis stabilization and detoxification unit. Children's Hospital of The King's Daughters is the only freestanding children's hospital in Virginia. 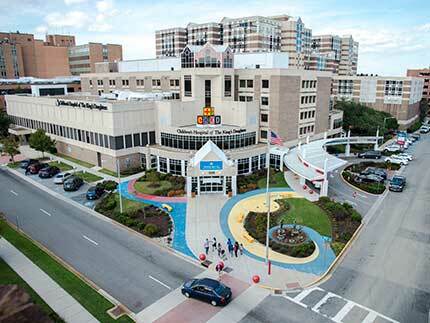 With 206 beds, it is the regional pediatric referral center for coastal Virginia and northeastern North Carolina. 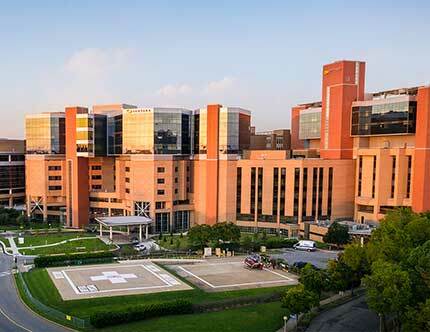 The hospital, a pediatric Level I trauma center, is home to the area's largest and most advanced neonatal and pediatric intensive care units, as well as the state's only acute inpatient rehabilitation unit. Residents complete a rotation in child psychiatry at this facility during their second year. The Norfolk Community Services Board treats patients with mental health, intellectual disabilities and substance abuse needs. This program serves more than 9,000 Norfolk residents per year. During their third year of training, residents in this facility provide these citizens with the treatment they need. The Hampton-Newport News Community Services Board provides high-quality behavioral health services to residents on the Peninsula in Hampton and Newport News. The board offers a comprehensive array of programs for children and adults with mental illness, developmental disabilities and/or substance use disorders. Our PGY-4 residents rotate there throughout the year to do one month of their required Child Psychiatry experience. The Hampton Roads region that EVMS serves is a vibrant community with 1.7 million residents scattered across nine cities and five counties in southeastern coastal Virginia. 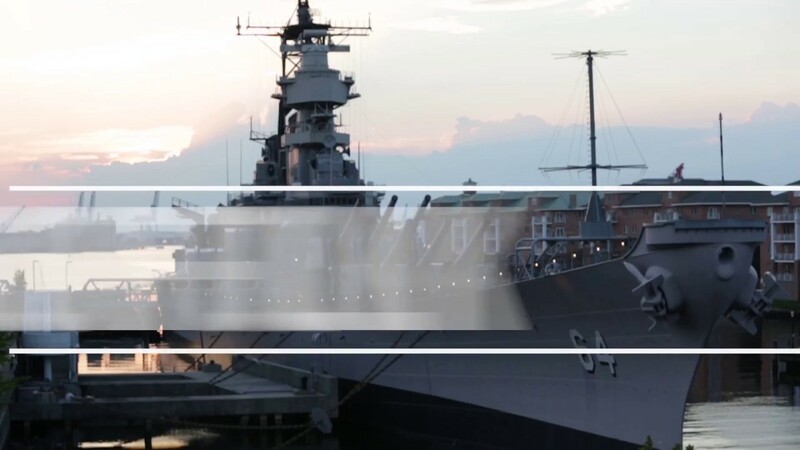 Miles of waterfront, historical and cultural attractions, parks and outdoor recreation areas, lively nightlife, seasonal festivals and family-friendly entertainment make it clear that there's something for everyone here in Hampton Roads. At EVMS, we know life happens, and we want you to be covered when it does. That’s why we offer competitive benefits packages for our residents and fellows. Work-life balance is important during your residency, and we are committed to supporting our residents throughout their time at EVMS. Through EVMS' Wellness Works program, our residents and fellows receive the same wellness resources as our faculty and staff. In addition, our Resident Wellness program for residents and fellows gives you access to support groups, after-hours counseling services, running clubs, leadership coaching and more. Take a virtual tour of where you'll practice at EVMS. The EVMS Psychiatry Residency is an ACGME-accredited four-year program leading to eligibility for certification by the American Board of Psychiatry and Neurology. Former EVMS interns, residents and fellows can request training verification through Graduate Medical Education's Verification Requests. This website reflects current program information, including admission criteria and curricula. Information is subject to change.